- The United Kingdom has joined Russia and the United Arab Emirates in the scramble to set up military bases in Somaliland. 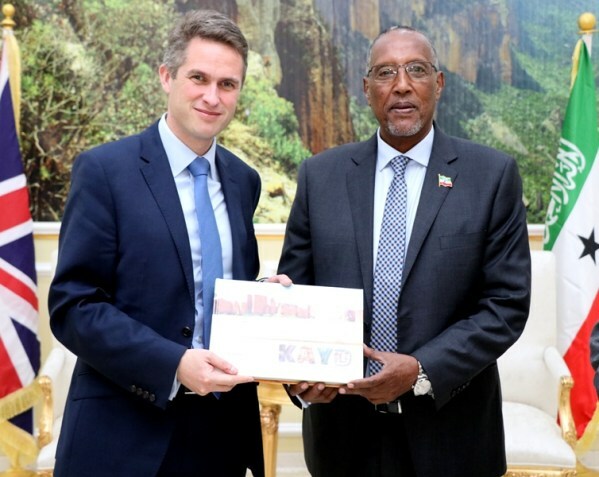 UK Defence Secretary Gavin Williamson at the weekend met President Mouse Bihi in Hargeysa, and discussed ways on strengthening the relationship between the two countries. Somaliland, a former British colony, is yet to be recognised internationally. The Somaliland embassy in Nairobi, neither denied not confirmed reports that Britain was seeking to set up a military base in the horn of Africa country. 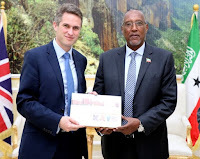 Somaliland Ambassador to Kenya Omar Bashe said his country was excited over Mr Williamson’s visit which, he said, would help the country's push for international recognition after breaking away from Somalia. Mr Bashe said Mr Williamson’s visit was a clear indicator that the international community recognises the importance of Somaliland. The visit comes barely a week after Mr Williamson said the UK was keen on building new military bases around the world after Brexit. 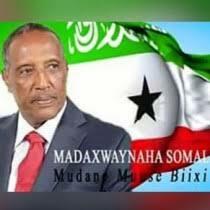 It is believed his visit to Somaliland sought to discuss the possibilities of setting up a base in the country. “For so long – literally for decades – so much of our national view point has been dominated by the discussion about the European Union. This is our moment to be that true global player once more – and I think the armed forces play a really important role,” said Mr Williamson. Britain joins Russia which last April announced its intention to set up a naval base in Saylac, Somaliland. A Russian delegation held talks with Somaliland government for a 1,500 man base to support its warships and hunter-killer submarines to operate in the volatile region and busy shipping lanes that carry most of Europe's goods. The United Arab Emirates is also building a military base in Berbera. The UAE base, which will begin operating by June, includes a coastal-surveillance system. The UAE is growing its military presence in the Horn of Africa to protect trade flows through the Bab el-Mandeb, a key shipping lane used by oil tankers and other cargo vessels en route to the Suez Canal. Emirati footholds in Somaliland and Eritrea provide strategic locations as the UAE supports the Saudi Arabia-led war against Houthi rebels in Yemen.